While apps that are dedicated to the technical aspects of surgery, such as the excellent AO Surgery Reference, are becoming available, in the future we will see the iPad (or its brethren) actually in the operating room. Why ? 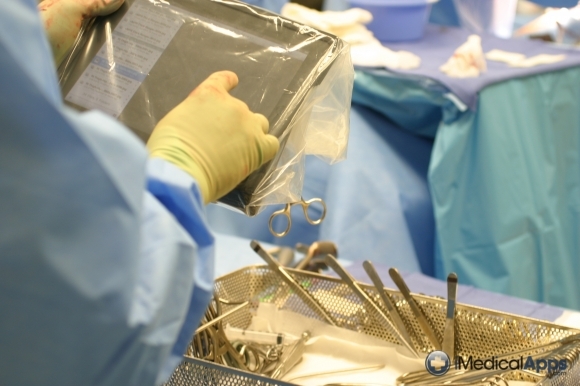 Because the iPad has many characteristics that make it a great an advanced surgical instrument. The explosive growth of medical applications for smartphones, launched by the debut of the innovative Apple iTunes App store in 2008, promises to fundamentally change the physician’s tool set. While many specialties have always been heavily dependent on technology, such as radiology and cardiology, the ubiquity of these small, interconnected computers means that every physician will soon have access to a broad array of software and hardware to help them perform their daily work. 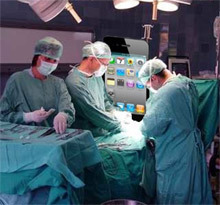 At iMedicalApps.com, we have been reviewing the most interesting medical apps on the market today as well as watching for trends in mobile medical technology. The most popular categories thus far have been clinical reference and utility apps. Some of the largest download numbers have been for apps that provide drug and disease reference information, such as the encyclopedic Medscape app, or medical calculators.